House of Saxe-Coburg and Gotha (/ˌsæksˌkoʊbɜːrɡəndˈɡoʊθə, -tə/; German: Haus Sachsen-Coburg und Gotha) is a German dynasty, the line of the Saxon House of Wettin that ruled the Ernestine duchies including the duchy of Saxe-Coburg and Gotha. 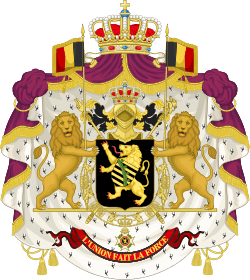 Founded by Ernest Anton, the sixth duke of Saxe-Coburg-Saalfeld, it is the royal house of several European monarchies, and branches currently reign in Belgium through the descendants of Leopold I, and in the United Kingdom and the other Commonwealth realms through the descendants of Prince Albert. Due to anti-German sentiment in the United Kingdom during World War I, George V changed the name of his branch from Saxe-Coburg and Gotha to Windsor in 1917. The same happened in 1920 in Belgium, where it was changed to "van België" (Dutch) or "de Belgique" (French). The first duke of Saxe-Coburg and Gotha was Ernest I, who reigned from 1826 until his death in 1844. He had previously been Duke of Saxe-Coburg-Saalfeld (as Ernest III) from 1806 until the duchy was reorganized in 1826. Ernst's younger brother Leopold became King of the Belgians in 1831, and his descendants continue to serve as Belgian head of state. Léopold's only daughter, Princess Charlotte of Belgium, was the consort of Maximilian I of Mexico, known as the Empress Carlota of Mexico, in the 1860s. 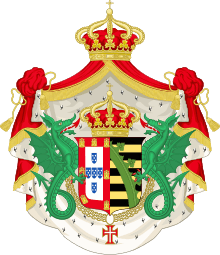 Ernst's nephew Ferdinand married Queen Maria II of Portugal, and his descendants continued to rule Portugal until that country became a republic in 1910. Ernst I's second son, Prince Albert (1819–1861), married Queen Victoria in 1840, and thus is the progenitor of the United Kingdom's current royal family, called Windsor since 1917. In 1826, a cadet branch of the house inherited the Hungarian princely estate of Koháry, and converted to Roman Catholicism. Its members managed to marry an imperial princess of Brazil, an archduchess of Austria, a royal princess of "the French", a royal princess of Belgium and a royal princess of Saxony. A scion of this branch, also named Ferdinand, became Prince, and then Tsar, of Bulgaria, and his descendants continued to rule there until 1946. The current head of the House of Bulgaria, the former Tsar Simeon II who was deposed and exiled after World War II, goes by the name Simeon Sakskoburggotski and served as Bulgaria's prime minister from 2001 to 2005. Wir, Ernst, Herzog zu Sachsen-Coburg und Gotha, Jülich, Cleve und Berg, auch Engern und Westphalen, Landgraf in Thüringen, Markgraf zu Meißen, gefürsteter Graf zu Henneberg, Graf zu der Mark und Ravensberg, Herr zu Ravenstein und Tonna usw. 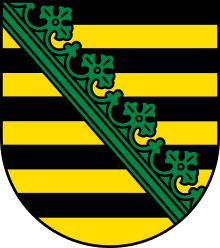 We, Ernst, Duke of Saxe-Coburg and Gotha, Jülich, Cleves and Berg, also Angria and Westphalia, Landgrave in Thuringia, Margrave of Meissen, Princely Count of Henneberg, Count of the Mark and Ravensberg, Lord of Ravenstein and Tonna, et cetera. There were two official residences, in Gotha and Coburg. Therefore, the whole ducal court, including the Court Theater, had to move twice a year: from Gotha to Coburg for the summer and from Coburg to Gotha for the winter. For the Court Theater, two almost identical buildings had to be built in 1840 in Gotha (destroyed in the Second World War) and Coburg (now the Coburg State Theater) and thereafter maintained at the same time. 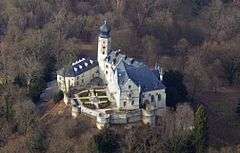 In addition to the residential castles, Friedenstein in Gotha and Ehrenburg in Coburg, the Ducal family also used the Schloss Reinhardsbrunn in Gotha as well as the Rosenau and Callenberg Castles in Coburg and the hunting lodge Greinburg Castle, Grein, Austria. Although the ducal branch is eponymous with the dynasty, its head is not the genealogically or agnatically senior member of the family. In 1893, the reigning duke died childless, whereupon the throne would have devolved, by male primogeniture, upon the British branch descended from Prince Albert. However, as heirs to the British throne, Albert's descendants consented and the law of the duchy ratified that the ducal throne would not be inherited by the British monarch or heir apparent. Therefore, the German duchy became a secundogeniture, hereditary among the younger princes of the British royal family who belonged to the House of Wettin, and their male-line descendants. Instead of the future Edward VII of the United Kingdom inheriting the duchy, it was diverted to his next brother, Prince Alfred, Duke of Edinburgh. Upon the latter's death without surviving sons, it went to the youngest grandson of Prince Albert and Queen Victoria, Prince Charles Edward, Duke of Albany. Charles Edward's uncle Prince Arthur, Duke of Connaught and his male line had renounced their claim. Although senior by birth, they were either not acceptable to the German Emperor as a member of the British military or unwilling to move to Germany. 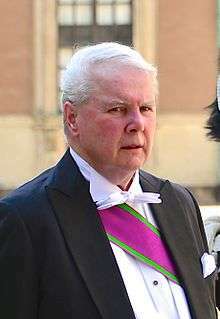 The current head of the ducal branch is Andreas, Prince of Saxe-Coburg and Gotha. The House of Saxe-Coburg-Gotha-Koháry is the Catholic cadet branch of the House of Saxe-Coburg and Gotha. It was founded with the marriage of Prince Ferdinand of Saxe-Coburg and Gotha, second son of Francis, Duke of Saxe-Coburg-Saalfeld, with Princess Maria Antonia Koháry de Csábrág. Palais Coburg Vienna, today a Hotel. Palace of Svätý Anton in Slovakia, today a museum. Walterskirchen castle near Poysdorf, Lower Austria is still owned by the family. Edelény Palace, acquired 1831, today owned by the Hungarian state. In Portugal, the former royal house is usually not distinguished from the House of Braganza. 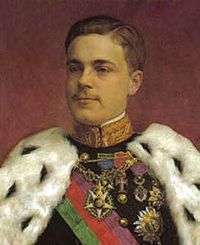 Manuel II died childless in 1932. He recognised as his successor his distant cousin Duarte Nuno, Duke of Braganza, who is not a descendant of Ferdinand II or the house of Saxe-Coburg and Gotha. Duarte Nuno and his successors are members of the House of Braganza. 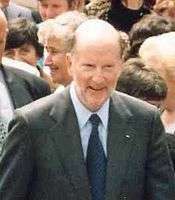 Simeon II (1943–1946) In 2001, elected Prime Minister of Bulgaria as Simeon Saxe-Coburg-Gotha—also known as Simeon "Sakskoburggotski" (Сакскобургготски). The Belgian line was founded by Leopold, youngest son of Francis, Duke of Saxe-Coburg-Saalfeld. Because of the First World War, the family name was changed in 1920 to van België, de Belgique or von Belgien ("of Belgium") in the country's three official languages (Dutch, French and German). This family name is used on the identity cards and in all official documents. 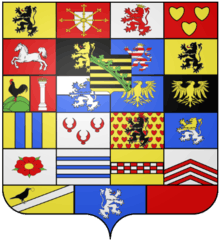 The armorial bearings of Saxony were removed from the Belgian royal coat of arms (see here). The branch of the family that ruled in the United Kingdom of Great Britain and Ireland also discarded their Coburg and Saxon titles and changed their name. Britain's King George V adopted the family name of Windsor, after the Royal Family's place of residence. From King Edward VII, who reigned from 1901 to 1910, until 1917, when King George V replaced the German-sounding title with the name of Windsor during the First World War, British monarchs belonged to the House of Saxe-Coburg and Gotha. 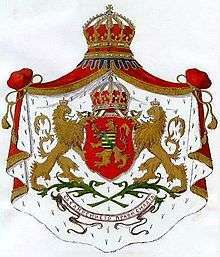 The name Saxe-Coburg-Gotha survived in the Belgian royal family until 1920, and it still survives in the Bulgarian royal family. Patrilineality, descent as reckoned from father to son, has historically been the principle determining membership in reigning families, thus the dynasty to which the monarchs of the House of Saxe-Coburg-Gotha belonged genealogically through the 20th century is the House of Wettin, despite the official use of varying names by different branches of the patriline. Saxe-Coburg Dynasty Family Tree since the end of the 18th Century, showing their inheritance of the thrones of Great Britain, Belgium, Portugal, and Bulgaria. ↑ Bulgaria: Timeline, BBC News Online, 27 June 2007. Retrieved on 28 July 2007. ↑ Former king marks first year as Bulgarian Prime Minister, Radio Free Europe, 26 July 2002. Retrieved on 28 July 2007. ↑ Bulgarian (or Spanish) Prime Minister?, Bulgaria Development Gateway, 24 July 2003. Retrieved on 28 July 2007. ↑ Lord Alderdice speaking in the House of Lords on 19 May 2005, Hansard. Retrieved on 28 July 2007. ↑ Balfoort, Brigitte; et al. "journalist" (pdf). The Belgian Monarchy. Olivier Alsteens, Director-General of the FPS Chancellery of the Prime Minister, Wetstraat 16, 1000 Brussels. Retrieved 18 July 2012. Wikimedia Commons has media related to House of Saxe-Coburg and Gotha.